TLC will be the last PPV event, produced by SmackDown this year. All titles are on the line and weapons will be extensively used, which always makes things a little bit better. Here are the matches on the card and my predictions for each bout! This match is the hardest to predict. It could go either way. Becky hasn’t really done much as a champion, so she won’t be missed greatly. However, she is a fan darling, so a retention of the title might not be off the table. I’m inclined to side with Alexa Bliss on this one. She has been a great heel in the last few months. She made Becky’s reign interesting. Even without Becky around, Alexa kept the feud going. She has the character and the drive to make a great champion.Last time Alexa and Becky met in the ring, it was the ref’s fault that cost Bliss the championship. Despite everything, I think Becky will keep the gold, in the name of mixing up the future feuds in the SmackDown Women’s Division. I’ll explain how in the predictions for the Nikki vs. Carmella match. Dolph Ziggler wouldn’t even have been at TLC if it hadn’t been for the Miz. The Miz and Maryse kept the championship on SmackDown. Like it or not, Miz’s antics are what define the IC title at the moment. Dolph is great but there is a reason why he dropped the belt back to the Miz before Survivor Series. The A-lister simply generates too much hate to miss. When the title is in his hands, the fans watch just to see him get beaten eventually. In a ladder match, The Show-Off will stand out. Ziggler will make this match great. He’ll take risks and it will be a treat for the fans. However, in the end of the day, a ladder match opens too many opportunities for a cheat. Miz cannot lose in this type of environment. Nikki Bella and Carmella have kept a solid, entertaining feud for months now, without even having a title to argue about. Yet, TLC might be the time the plot changes focus. There is enough animosity between the two girls to have them tear each other apart in a no DQ match. Nikki will definitely want to have her way with Carmella, after the Princess of Statham Island dared to diss her relationship with John Cena. Then again, Carmella might get some help. Someone attacked Nikki backstage at Survivor Series and something tells me it wasn’t Carmella. My guess is that it was Natalya, who wanted the spotlight for herself. I’d expect Natty to cost Nikki the match at TLC, forming a feud between the two veteran girls. Having won her rivalry with Nikki, Carmella could go on to challenge Becky for the gold. This way we’ll get two new feuds and will refresh the Women’s Division on SD Live. Charis matches are generally the weakest part of TLC. In this case, I’m not even sure they play in Kalisto’s favour. The reality is that Kalisto will most probably fly high and get taken out by chair shots midair more than once. If Kalisto was to have the edge, this had to be a ladders match where his high flying would be of use. However, I still think Kalisto will win. Baron Corbin is relentless until he gets what he wants. If he beats Kalisto at TLC, he’ll have no interest in this rivalry any more. If Kalisot wins, however, Corbin will be beside himself. He’ll get even more aggressive and this will make the rivalry more interesting to watch. Slater and Rhyno’s story was a good comic relief act but it’s run its course. The New Wyatt Family promises to deliver better plot development in the near future, so Bray and Randy will dominate at TLC. The Eater of Worlds and The Viper seem to be unstoppable together. They ran through American Alpha without any trouble and the team of Gable and Jordan is far better than Slater and Rhyno. The Wyatt Family will easily get the gold on Sunday. However, their reign will put the Wyatt Family’s inner workings into the spotlight. We already see Randy alienating Luke Harper. The end of this team and their run with the titles will come when the Viper finally breaks the Wyatt Family from the inside. James Ellsworth has been an integral part of this rivalry over the last few weeks and TLC will be no different. The Chinless Superstar will cost Dean Ambrose the match. I only wonder whether Ellsworth will turn on Ambrose or if it will be by mistake. During his Ambrose Asylum interview, Ellsworth said it himself – he believes he has better chances at taking AJ Styles out than Ambrose. It might be his version of strategy to cost Dean the match. If he goes down that route, he’ll get a beating not only from Styles but from Ambrose as well. The other option would be to have Ellsworth seek retribution from AJ Styles for the damage done on Tuesday and somehow impede Ambrose in the process. However, that has been done before and so the first scenario sounds more interesting. Regardless of how it happens, James Ellsworth will ruin TLC for the Lunatic Fringe. 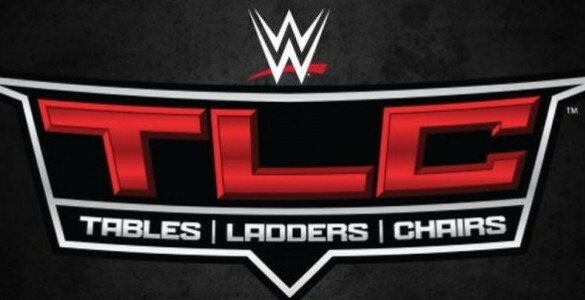 Who do you think will win at TLC? Leave a comment and let us know!